SAN FRANCISCO, CA--(Marketwired - Jun 22, 2016) - Degreed, the education technology company that has created a universal way to empower and recognize all forms of professional and lifelong learning, today announced details of how it is revolutionizing the way today's workers build their skills, fuel their careers and explore their passions. By questioning the traditional degree model and ensuring all learning -- both informal and formal -- can be captured, portable and tracked throughout a person's life, Degreed delivers a fresh approach that improves organizational as well as individual performance. "Degreed's mission is to make ALL lifelong learning matter," said David Blake, CEO and co-founder of Degreed. "As Degreed has taken root in many of the world's largest organizations, it is quickly becoming the de facto way people gain professional credit for all of their learning -- traditional academic education and corporate training as well as self-directed development. We are pioneering a new model of lifelong learning." Key to Degreed's success is a diverse team of accomplished experts and leaders in corporate learning, enterprise software and traditional education and education technology. Led by Blake, whose personal mission is to create an educational system that promotes universal access to education, restructures the physical learning environment and enables a measured and meaningful system for lifelong learning, Degreed has made several high-level appointments over the past year who are driving this mission forward. Most recently, Degreed welcomed LinkedIn's former chief learning officer (CLO) Kelly Palmer to its executive team as chief learning officer. A recognized pioneer in the learning industry, Palmer will be critical to Degreed's continued growth and expansion as the leading learning platform, advising on company and product strategy and leading Degreed's employee and customer education initiatives. At LinkedIn, Palmer led all learning and talent management for the company, as well as its inclusion and diversity strategy, and she previously led the learning functions at Yahoo! and Sun Microsystems. "Kelly is helping to lead the adoption of this new model of lifelong learning across the rest of the knowledge economy and the enterprise workplace," said Blake. "She joins us from LinkedIn where she led the learning efforts of the world's largest professional network. She will work directly with our team as well as our clients' and prospective clients' chief learning officers to help others adapt their strategies to this new ethos of lifelong learning." Along with Blake, a Techstars "graduate" who also was a member of the founding team of Zinch, a student social network that was acquired by Chegg, Kelly joins a long list of experienced executives with decades of combined expertise building many of the leading players in corporate learning, enterprise software and education technology. These include Workday, Cornerstone OnDemand, SAP SuccessFactors, Microsoft, Skillsoft/SumTotal, Harvard Business Publishing, Bersin by Deloitte, IBM, MIT, Pluralsight, Instructure and Lynda.com. 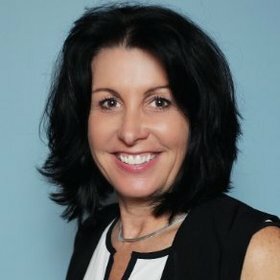 Through this extensive expertise, the Degreed team delivers advanced learning solutions at a time when most companies struggle to leverage learning and development programs effectively; recent research by ATD found that only 38 percent of managers believe their learning programs meet their learners' needs. Another study found that only 12 percent of learners say they apply skills learned from training to their jobs. And with learning now taking place in multiple ways beyond the classroom, companies often lack a centralized platform for managing these activities, leading to a fragmented and incomplete learning experience. Degreed's comprehensive platform connects all of the world's best learning and development experiences (corporate learning management systems, training content and people), embedding learning into workers' everyday lives. Revolutionizing learning and development, the company has transformed the process from one of management to one of empowerment, enabling businesses to connect their teams with more than 250,000 courses and millions of informal learning resources, including online videos, articles, books, blogs and podcasts, from thousands of platforms and providers. As a result, customers can provide their employees with access to relevant, personalized, cost-effective professional development to increase their value to their organizations and advance their careers. As Degreed continues to bring new innovation to the learning and development space, the company has achieved enormous success. In 2015, the company grew from a handful of clients to nearly 100 customers, including some of the most sophisticated, pioneering employers in the world like MasterCard, Microsoft, EMC and Xerox. To learn more about how Degreed makes all lifelong learning matter, visit: https://degreed.com/. Degreed was founded to make all lifelong learning matter and help people around the world unlock their career dreams through validated, ongoing education. Used by thousands of individuals and organizations to discover, track, and measure all learning, Degreed enables students to quantify and organize their education from any source -- formal and informal -- to unlock relevant employment and learning opportunities throughout their careers. Founded in 2012, Degreed is headquartered in San Francisco with additional offices in Salt Lake City.